東京国際キルトフェスティバル開始！Tokyo International Quit Festiva Open! 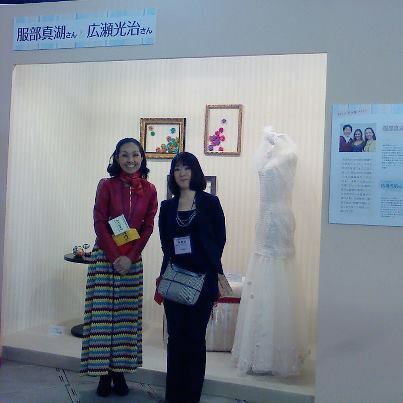 Tokyou International Quilt Festival 5th day. I am very proud to join this World Largest and beautiful Quilt Festival. Today, Mako and Mr.Hirose were on the stage for their Talk Show . I made 1000 paper flyer of Aubergine, but it was not enough. Mako and Mr.Hirose had a wonderful talk show. 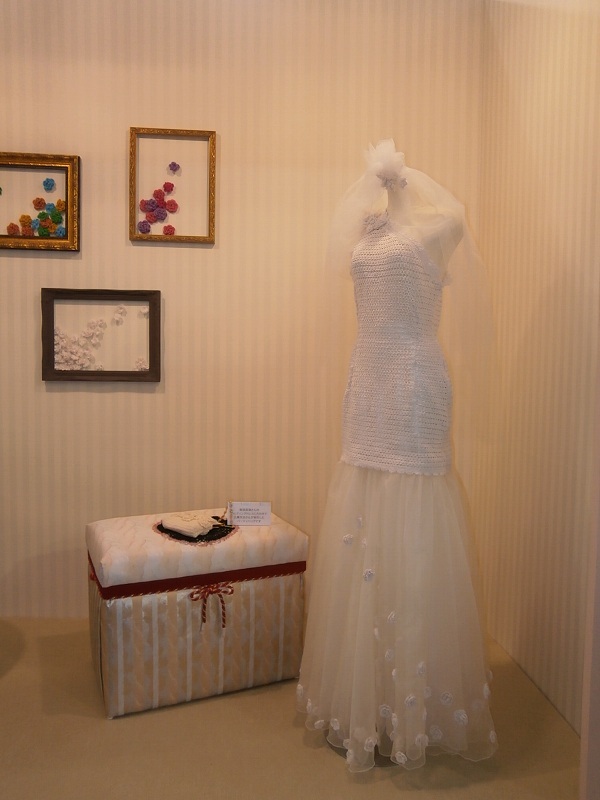 Mako's dress was made by Ms.Takeda in Sendai, fashion designer of Universal Wear. She has same universal wear , 40 dress on Sale for you. 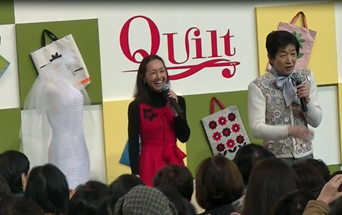 Ms.Takahashi introduced us the famous fabric shop of Quilt in Hokkaido. 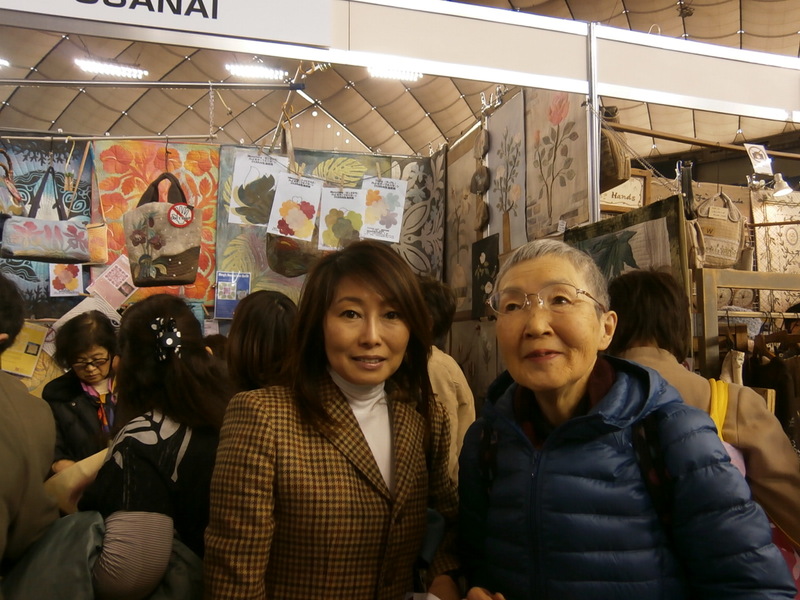 Many quilt fan came to buy their fabric from Korea, Taiwan and many other countories . The Quality of Fabric is the one of the most important factor to make a beautiful quilt. This photo is near Entrance for the Show. Many fans wait one hour to buy the ticket !! 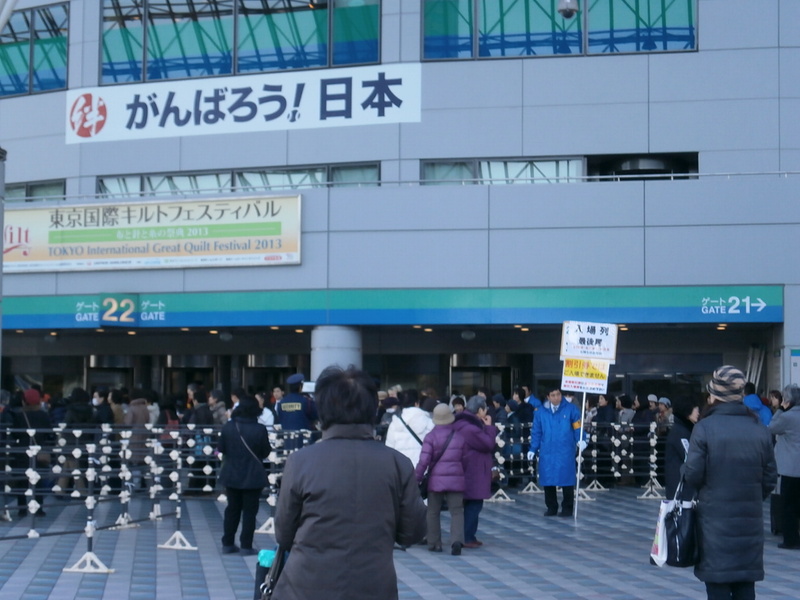 Today, World Largest Quilt Festival Grand Open!! Mako 's Corner honor to have Princess Kiko this morning. 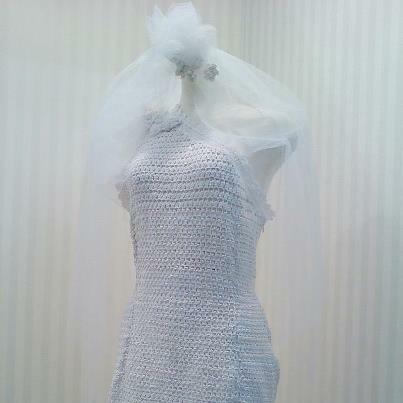 This is the Hand made Wedding Dress for her daughter Ema san. 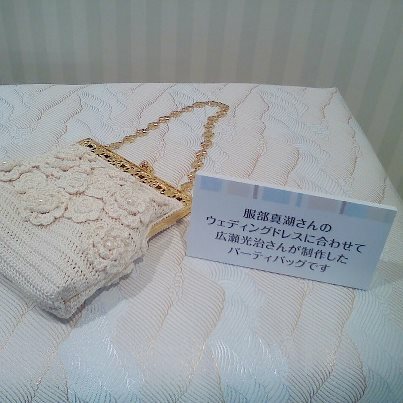 This is a bag Mr.Hirose made. How beautiful. 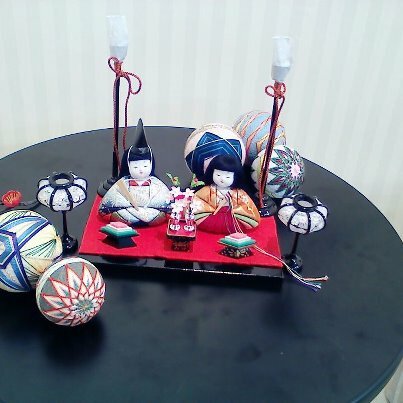 Hina Doll and Decoration Ball Mako made for her mother. Mr.Hirose and Mako's talk show will start at 11am on 29th! 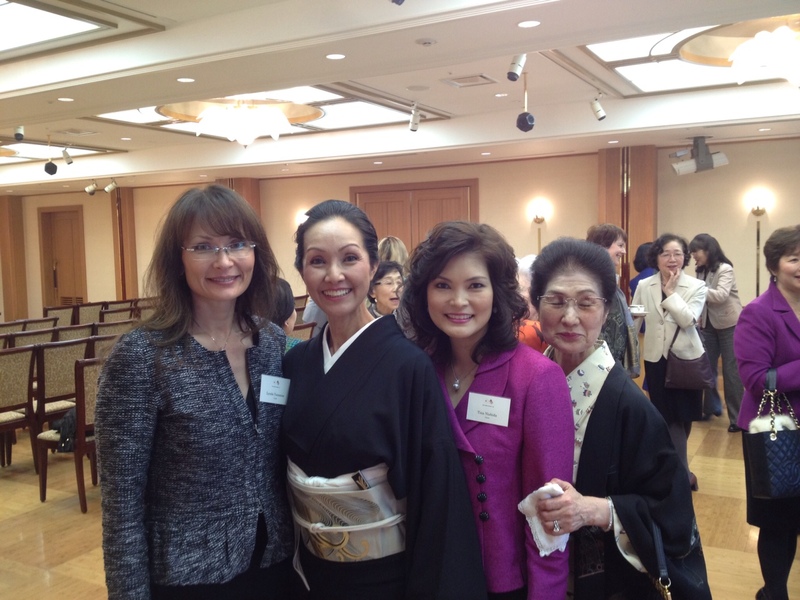 Mako was invited as a guest speaker and performer for the New Year Meeting of US-Japan Women's Club at Meiji Kinenkan. These wonderful ladies supported for the wonderful meeting. 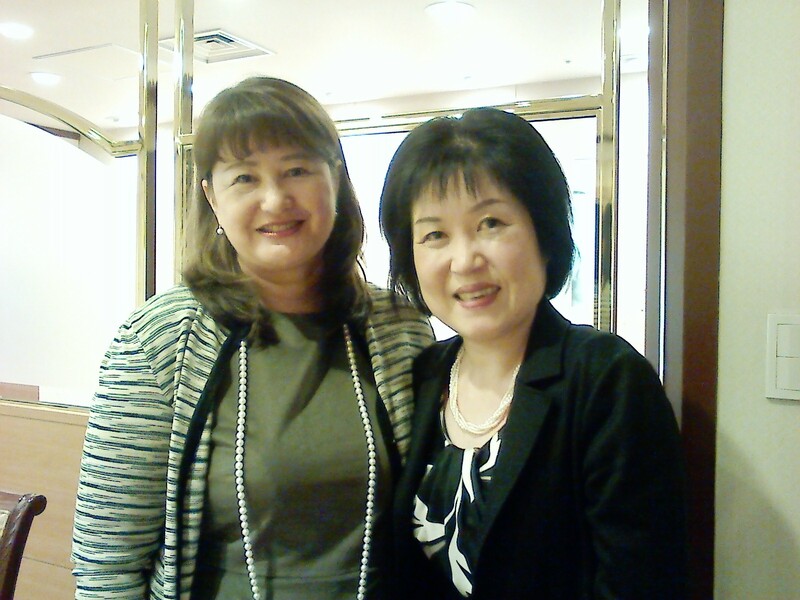 Mako's friends ,Ms.Tina and Ms.Lynda have joined this meeting. Ms.Tina send Mako a picture of her dance "Sarashimai". 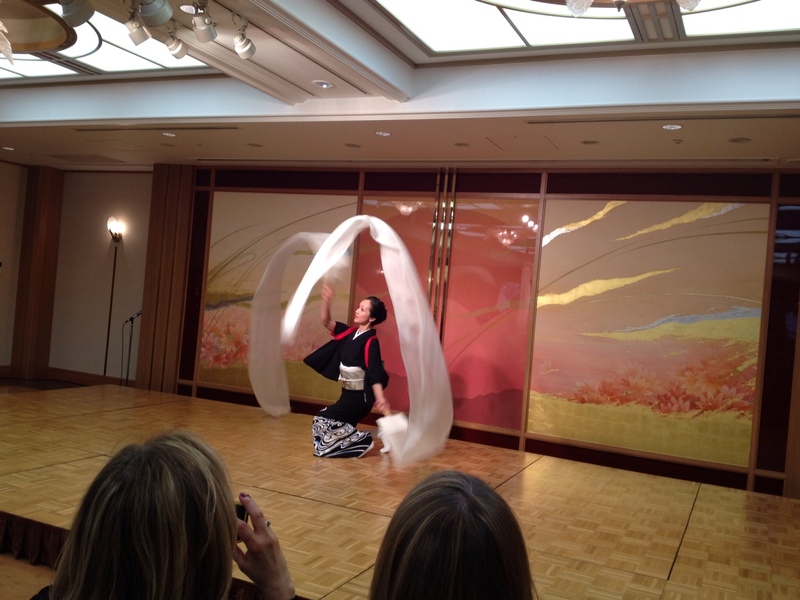 I really impressed the beautiful and traditional atomosphere in MeijiKinenkan. I decided to organize Mako's Dance Show here in this September　!! 10 more days for Quilt Festival! Ms.Takeda has sent a beautiful Skirts for Makosan's dress. 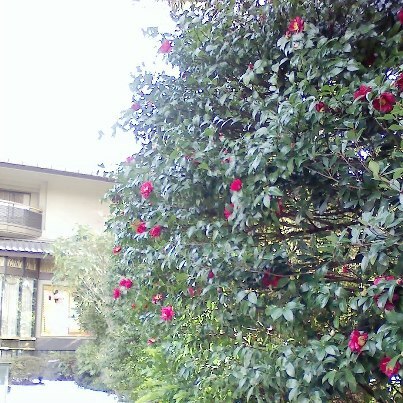 Mr.Hirose was so pleased and "Great Proffesional Job!" he said. Mako is putting flowers on the dress! 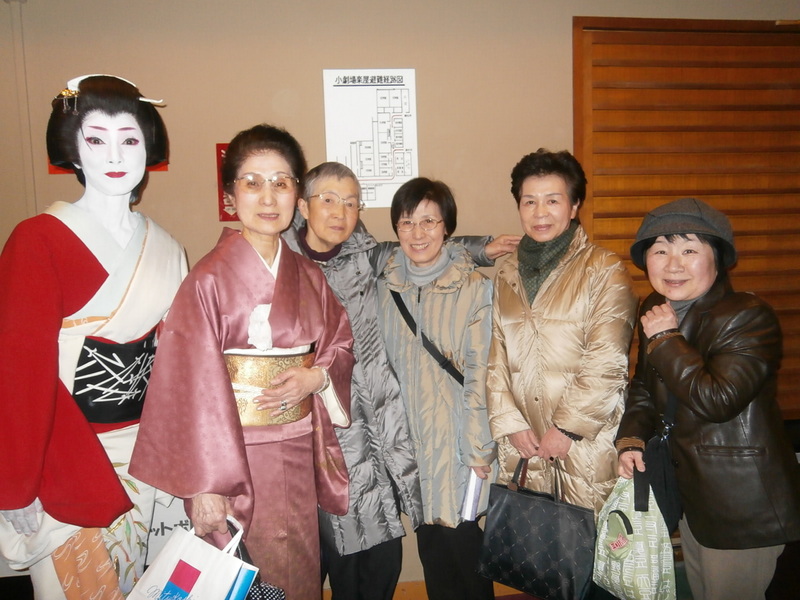 Mako had orgaized the 50th Shousenkai, Japanese Classical Dance Show. 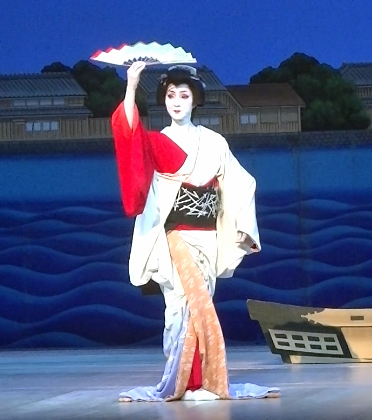 Mako performed as a Geisya "Kishi no Yanagi", means Sumida Riverside Willow. It was big snow in Tokyo! 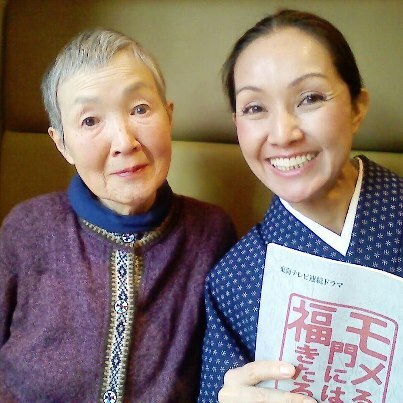 Mako's student Ms.Miho Shiraishi, wellknown actress ,played for the first time as a classic Japanese dancer at the National Theater. Friends visited Mako after the show. Mako is a honor citizen in Yonezawa City, Yamagata Prefecture. 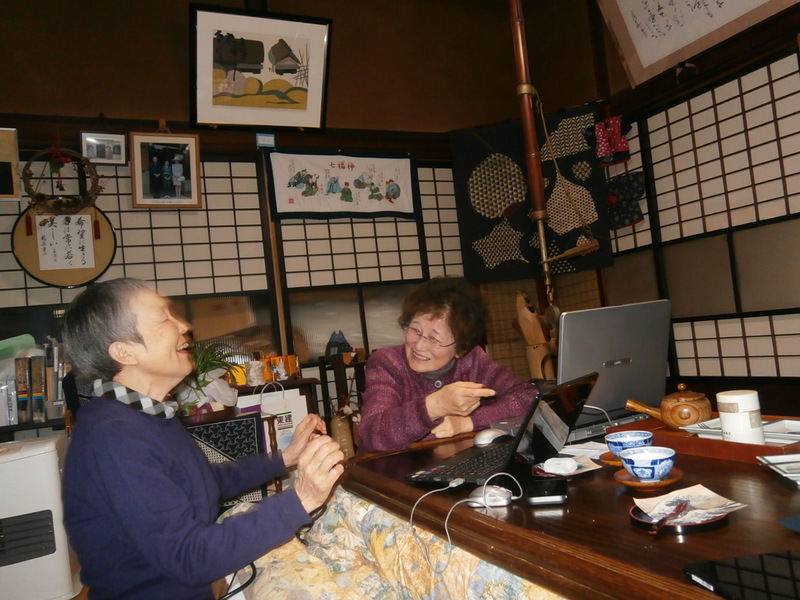 Ms.Wakamiya, very famous Computer Granma, good friend of Mako,visitedMs.EndoSashiko Master in Yonezawa City. Sashiko is a traditional needle work in Japan. It is similar to Embroidery. 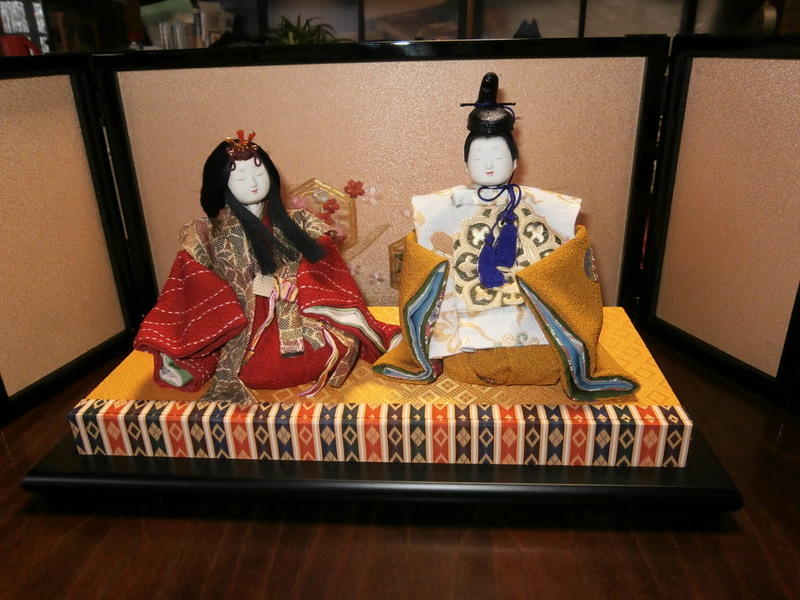 We are planing to have a Hina Doll Festival with Yonezawa this year. This is Ms.Endo's Hand Made Hina Doll. Prince and Princess. If it a hard time now, All your troubles make you happy later.